Arlington officials are calling off plans to buy a two-acre site in Fairfax County for a new bus maintenance facility, a move they expect will save the county millions over the years. The County Board voted unanimously Friday (Dec. 7) to cancel its contract to spend $4.65 million on a site along the 6700 block of Electronic Drive in Springfield, originally designated as the future home of a “heavy maintenance facility” for Arlington Transit buses. The county agreed to the land deal in December 2016, over concerns that it wouldn’t have enough space to store and maintain its growing fleet of ART buses. ART currently leases a storage yard in the Alexandria section of Fairfax County for the purpose, but the county managed to open a new maintenance facility in Crystal City last year and buy another property in Nauck for more space this summer. County board Chair Katie Cristol told ARLnow that the latter purchase is what convinced the Board to abandon its Springfield plans. 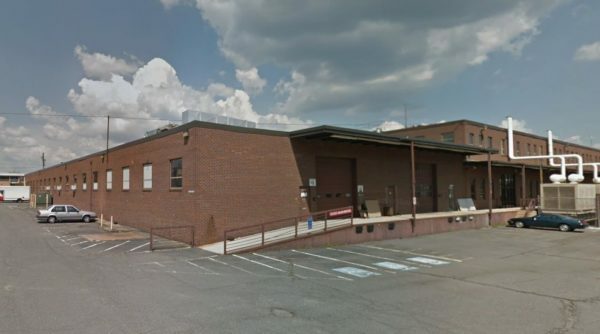 Initially, the county planned to use that property, located on the 2600 block of Shirlington Road, as both bus storage and the home of a new ART “operations center.” But Cristol says that, once county engineers got the chance to examine the site more closely, they felt the property would have enough room to accommodate the maintenance functions planned for the Springfield site as well. In all, Cristol expects cancelling the Springfield contract will save the county $10.5 million right off the bat, counting the purchase price and site preparation costs. She also estimates that the change will do away with another $900,000 in annual upkeep costs for the new property, which certainly qualifies as “good news” during the county’s current budget crunch. County officials had eyed the Shirlington Road site for years before finally buying it for $23.9 million in July. ART once leased a section of the site for bus storage, but made the move to buy the entire property once it earned some state grants and other regional transportation money to defray the cost. ART already beefed up its fleet of buses with some new purchases this summer, and plans to keep adding vehicles to meet a projected increase in ridership over the next decade or so.